Scythians and Greeks focuses on the ancient history of the northern Black Sea region: a major 'new frontier' of Classical studies. 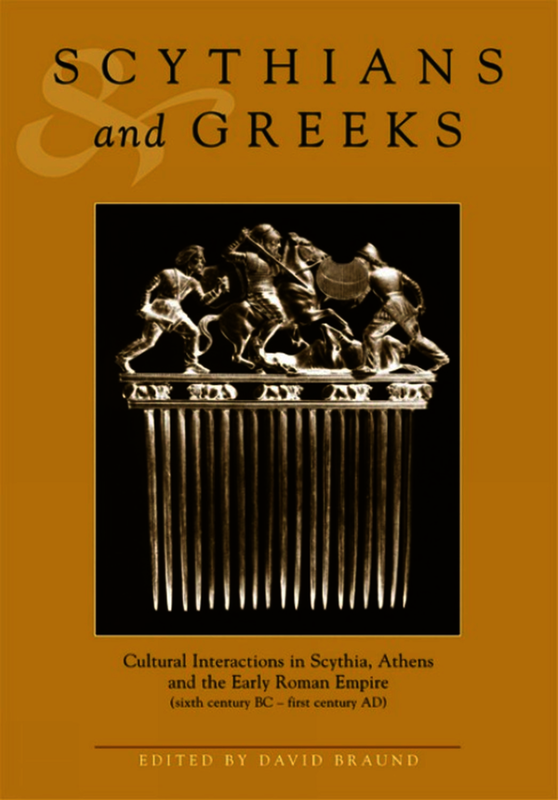 The book presents a series of engagements with key themes bearing on cultural interactions within the region, from archaic Greek colonial settlement (approx. sixth century BC) down to the region's inclusion within the Roman imperial system (first century AD). By bringing together contributors from Russia, Ukraine and Georgia, the book makes available material and ideas which are either wholly new or known only to a very limited circle of specialists. The particular focus is on the relationships which developed, in peace and war, between the local peoples of the region (conventionally termed 'Scythians') and the cultures of the classical Graeco-Roman world. David Braund is Professor of Ancient History, and head of the Classics and Ancient History department at the University of Exeter. His particular specialism lies in the Black Sea region, especially Russia, Ukraine and Georgia, and he speaks Russian and Georgian fluently. His books include The Administration of the Roman Empire (Exeter, 1988); Georgia in Antiquity: A History of Transcaucasian Georgia, 550 BC-AD 562 (Oxford, 1994); Ruling Roman Britain: Kings, Queens, Governors and Emperors from Caesar to Agricola (Routledge, 1996). David Braund is Professor of Ancient History, and head of the Classics and Ancient History department at the University of Exeter. His particular specialism lies in the Black Sea region, especially Russia, Ukraine and Georgia, and he speaks Russian and Georgian fluently.